Sailing regattas, cruises, and social events are possible in large part because of the tireless work of a small army of volunteers. 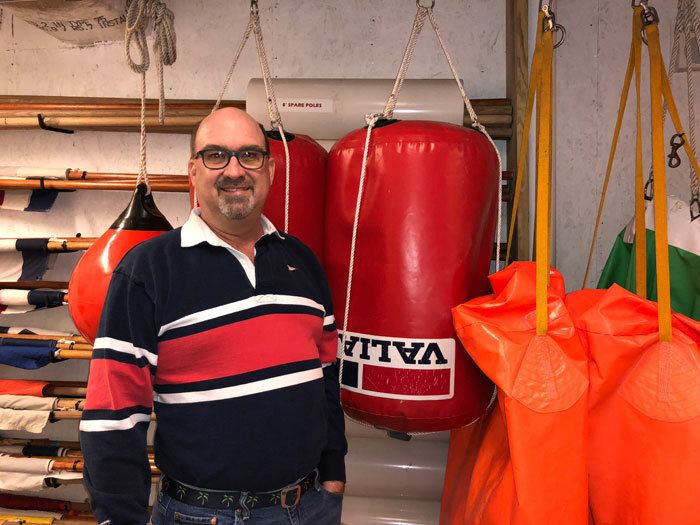 For the second year, Team SpinSheet recognizes one special person as the SpinSheet Volunteer of the Year, and this year our award goes to Eastport Yacht Club (EYC) race committee chair Keith Jacobs. 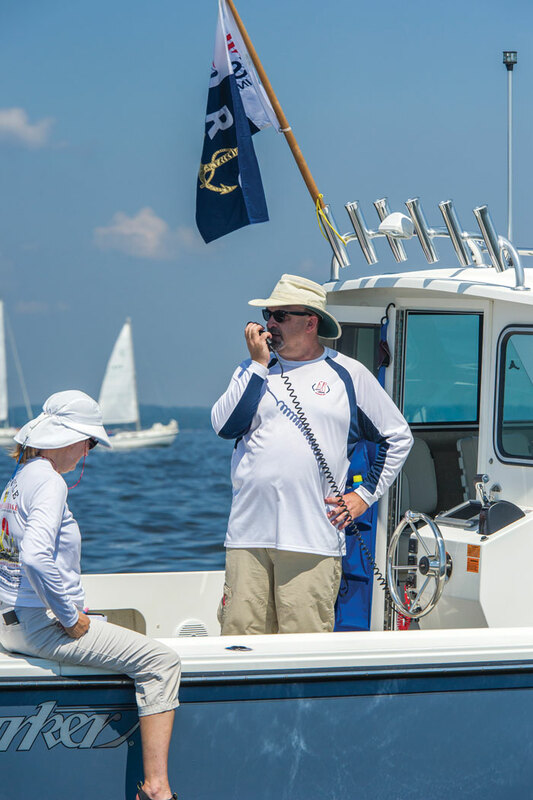 “As race committee chair, Keith’s passion is to provide the best possible sailboat racing experience, season after season, for club and regional sailors. He’s focused on every detail of planning and management. As the organizing authority of an upcoming race, he answers and coordinates each request for the use of EYC and covers all the administrivia. He has updated and standardized each Notice of Race and Sailing Instructions and is involved in staffing on-water crews, racer awards, and thank-yous for everyone. He even organizes equipment and ensures the right gear gets on the right boats. “This year (2017) was especially intense, as EYC hosted or co-hosted its usual array of annual events as well as several championship events: the huge I-5O5 World Championship, the J/80 North American, and J/22 East Coast Championship. Years of planning and collaboration culminated in well-coordinated events that got lots of positive feedback from volunteers and participants. 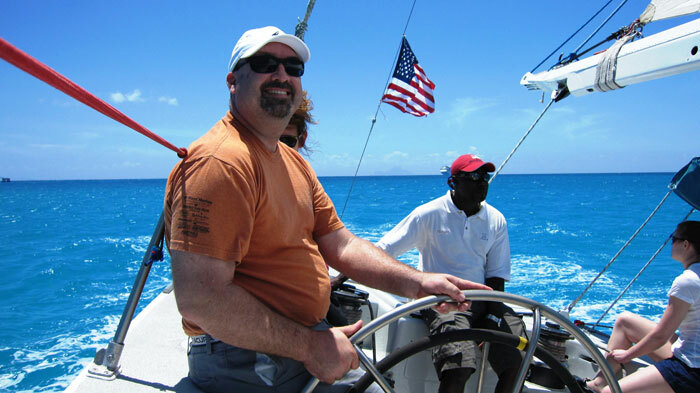 “Keith is a long-time mark boat operator on race committees, both in Annapolis and Solomons. He has served in all RC positions and was especially valued by PROs as a second set of eyes and opinions when evaluating conditions on the race course. Course marks were set fast and well, and when the wind changed, he was on top of it. After the planning was done for each regatta, he jumped on his boat and joined the fun. “Keith also has volunteered for other types of on-the-water events, such as the Dragon Boat Club’s world record row. He was a Safety Boat for the Bay Bridge Swim, the Stand-Up Paddleboard Challenge, and the EYC Lights Parade. He even brought to the area a true Cruisers Race in 2016. “As EYC RC chair Keith has worked to build stronger relationships between other local sailboat racing clubs. This has resulted in the sharing of RC staff, boats, and equipment, to the benefit of all racers. He also participated in the development of the joint Annapolis Harbor Safety and Emergency Response Plan. “Finally, Keith works with the EYC Foundation as a STEM volunteer, taking time off from his paying job to bring local kids out on the water for lessons. He has helped timid kids enjoy a confident day on a boat and has even crafted his own teaching aids to help the educators demonstrate science out on the water.